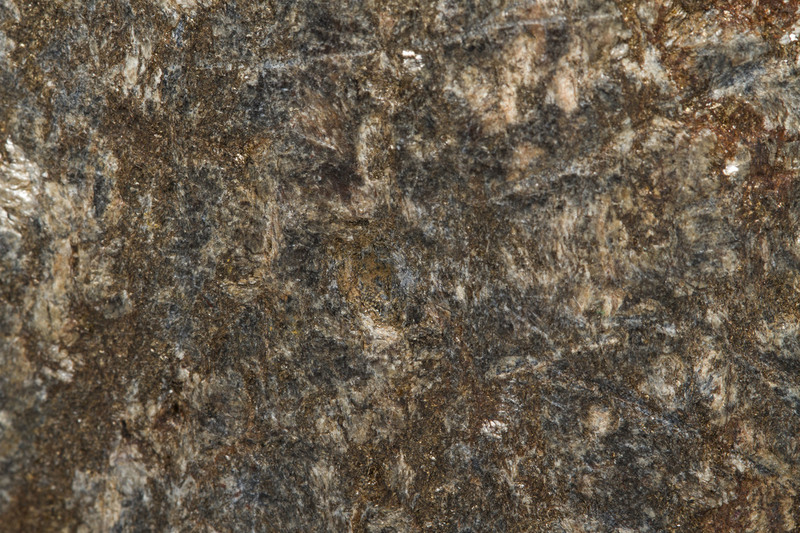 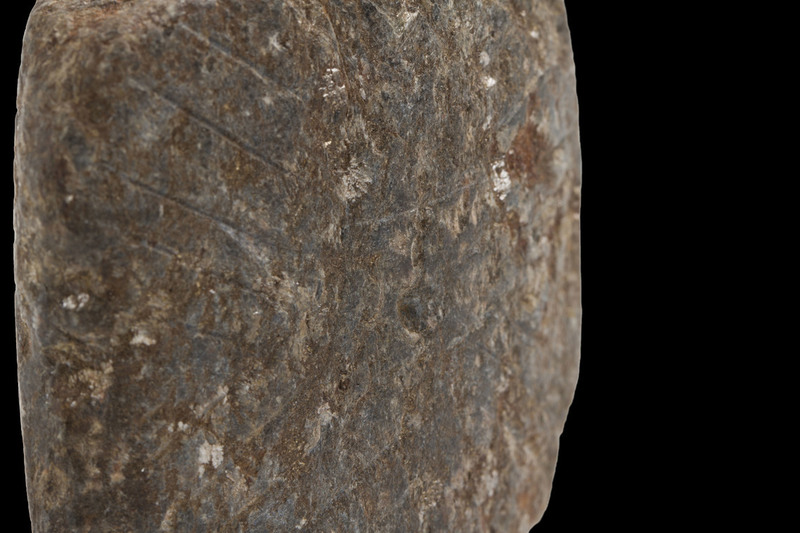 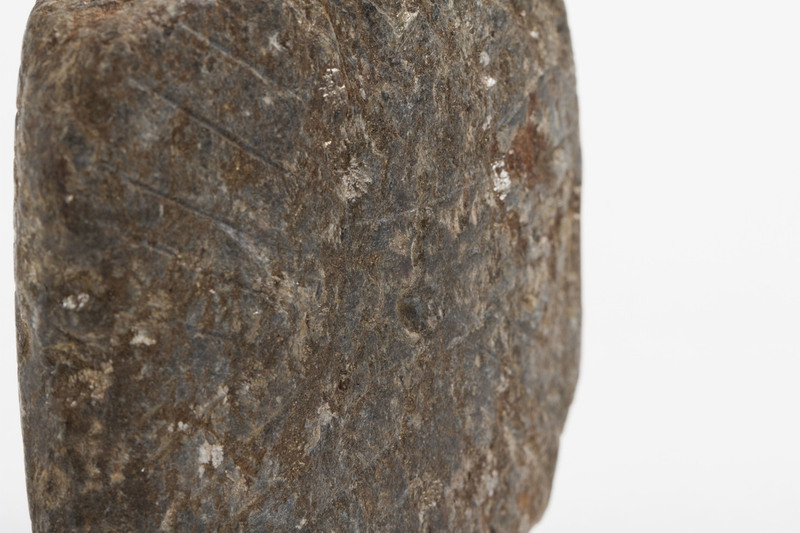 Several horizontal lines have been incised on the front and crisscrossed diagonal lines across the back of this bannerstone. 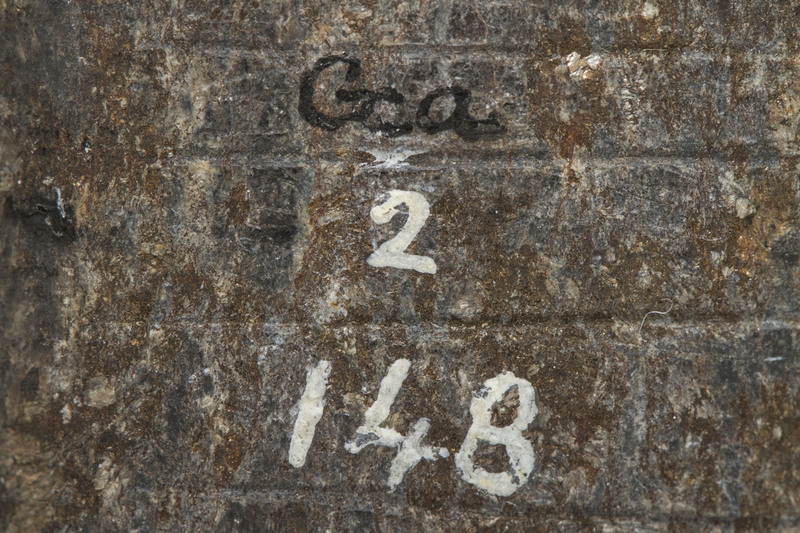 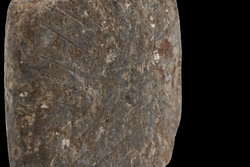 These markings appear to be archaic in origin and may have been incised when the stone was carved or added later for unknown purposes. 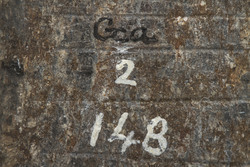 Published in Knoblock (1939) Plate 121, no. 10. 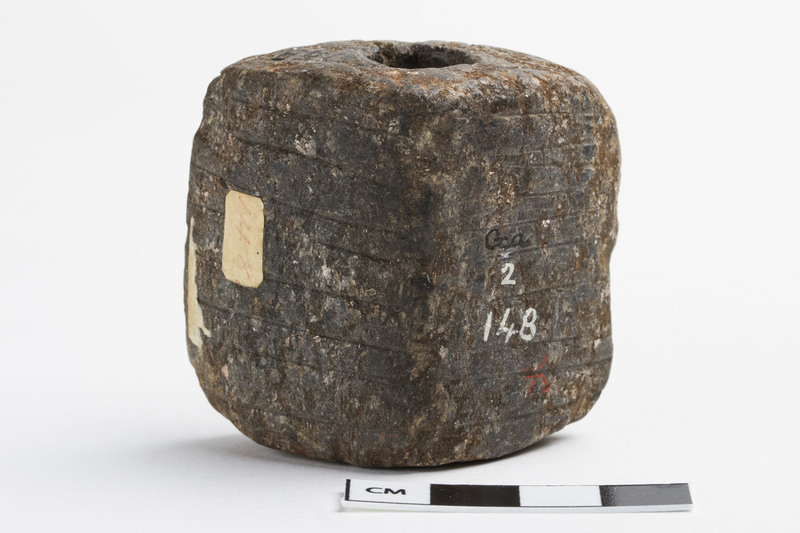 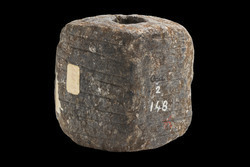 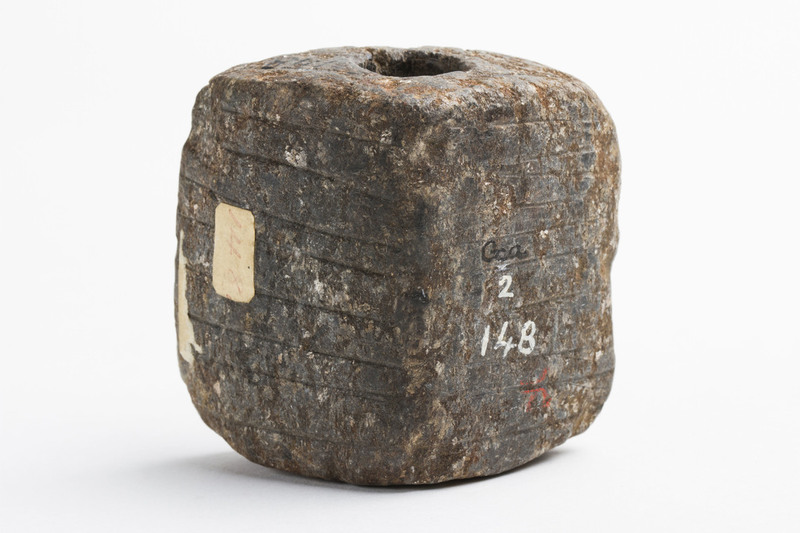 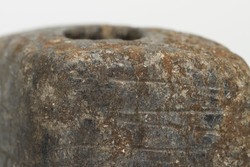 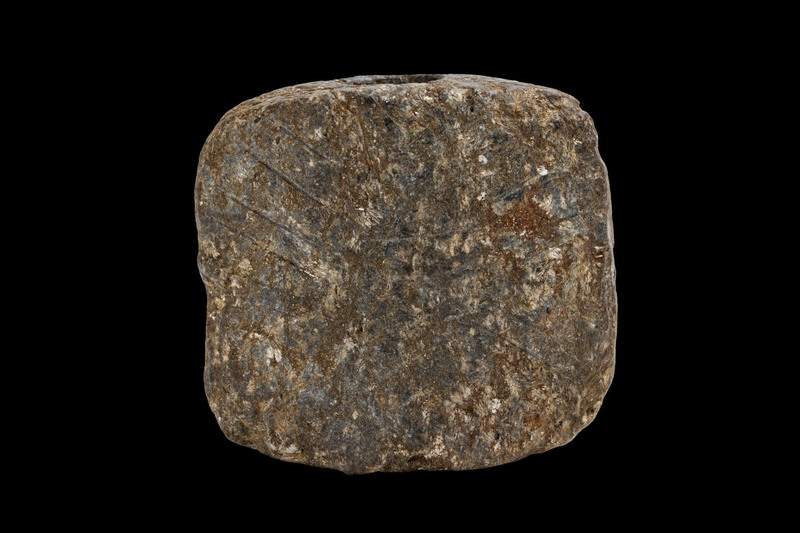 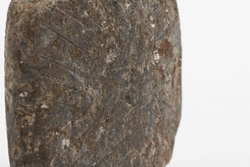 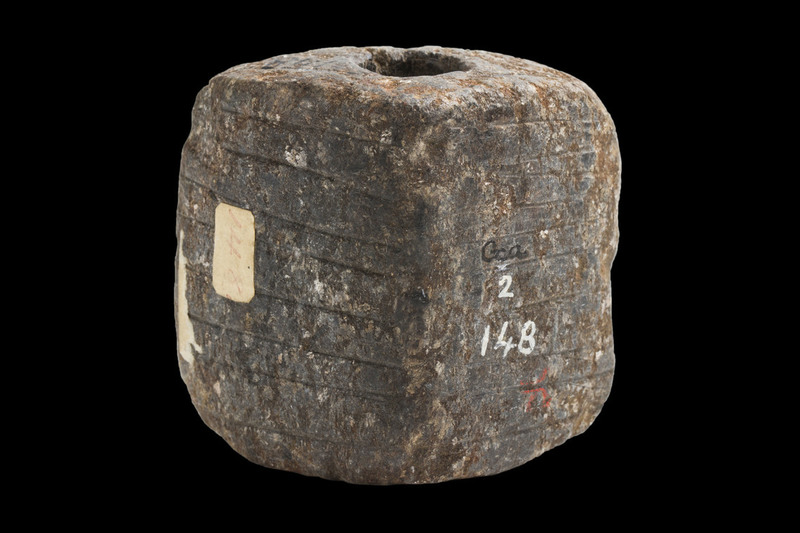 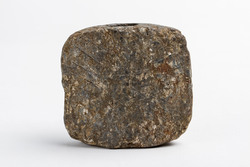 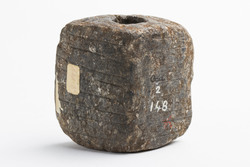 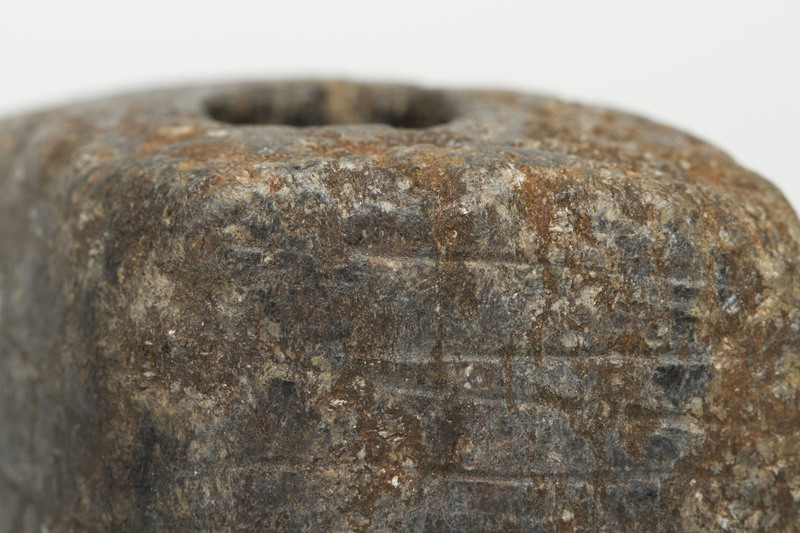 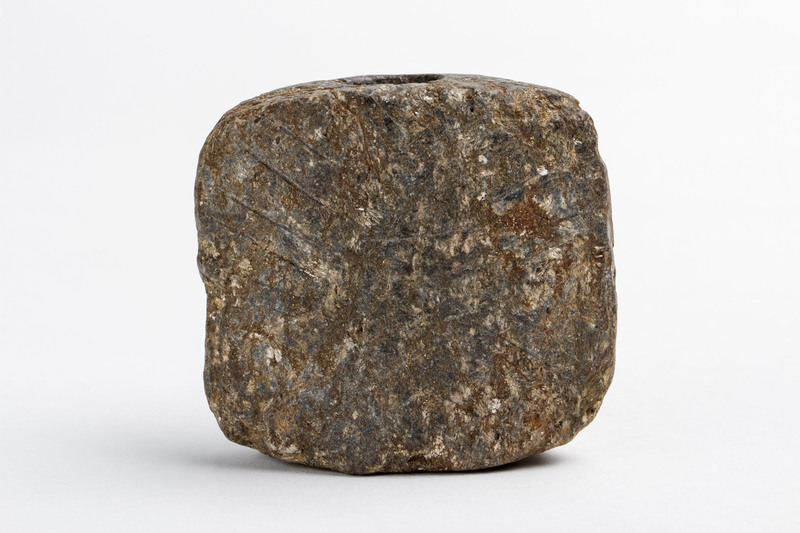 “AMNH 2/148,” FIT Archaic Bannerstone Project, accessed April 25, 2019, https://bannerstone.fitnyc.edu/items/show/64.